We know that the right training for both a security guard and a guard dog will produce the highest quality security personnel. Training is something we take very seriously, and we ensure that our security courses are constantly optimised to ensure anyone who receives training from us is poised to take on any security situation with expertise and skill. We provide a number of courses through our Dogs@Work Group training program. Our recertification course is designed with real-life scenarios for our participants to ensure that their skills are tailored around realistic situations. A strong course for those looking to update previous training. 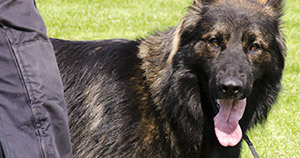 Our team has a detailed history providing dog security, mobile patrols, static guarding, crowd control, venue management and onsite security operation, as well as breeding, training and importing security dogs. Because of our extensive experience we are posed to offer some of the highest quality security training in the industry. For more information regarding the security training courses we offer at Dog Security, please don’t get in contact with us.